Please enter the following items. If you wish to register with your cellphone mail address, please specify the domain "tipc.jp". 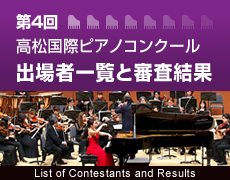 Copyright (C) Takamatsu International Piano Competition. All Rights Reserved.